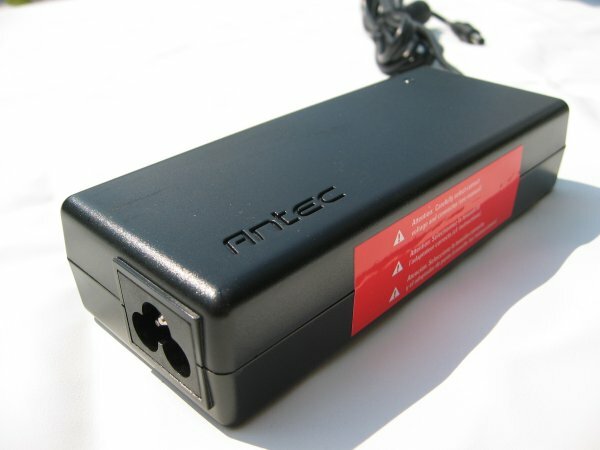 The Antec NP-100 is a versatile notebook power adapter that will work with most notebooks from popular notebook makers. So why exactly should you consider buying this product? 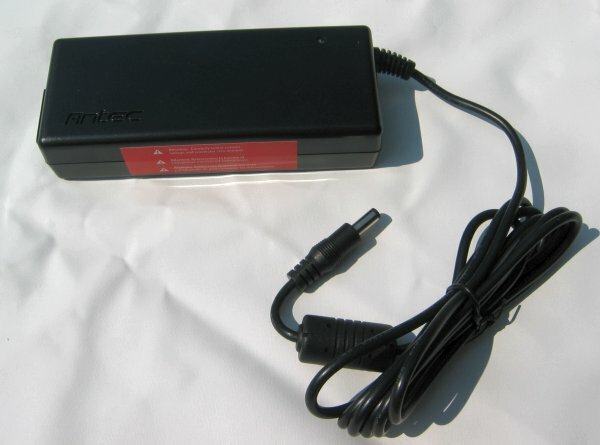 One of the most obvious reasons is to replace a defective notebook power adapter. Notebook makers generally ask a lot of money for replacements so you may end up spending a lot less money by buying the NP-100. 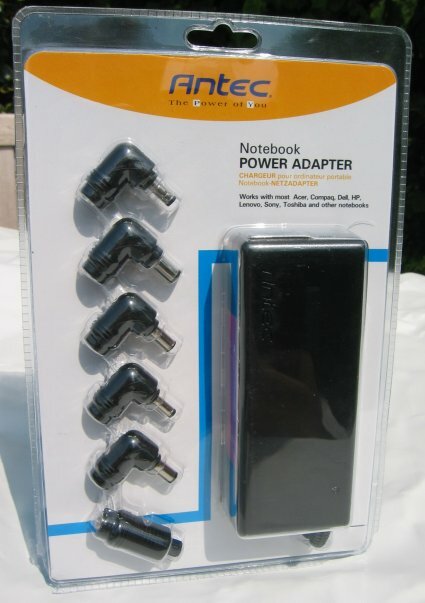 Not only will it be cheaper, but you'll also be able to use this adapter for other notebook you buy in the future and the NP-100 may be able to charge your battery faster and more efficient. One of the examples Antec gives is to make your daily commuting load a bit less heavy. Notebook adapters weigh quite a bit and buying the NP-100 power adapter would allow you to keep one adapter at your office and one at home. Inside the box I found the adapter, a manual and a power cable. 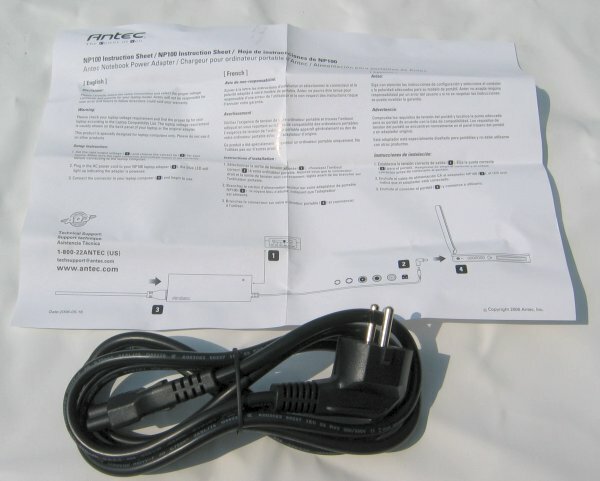 Antec only includes the correct power plug for the market where the product is sold, perhaps they could make the NP-100 a bit more universal by suppling some additional power plugs so you can use the NP-100 to power your notebook when you travel to the US, Europe or the UK. Antec claims the NP-100 is compatible with dozens of notebooks from Dell, HP, IBM, Sony, Toshiba, Compaq, Acer and other manufacturers. You can check out a full compatibility list over here. 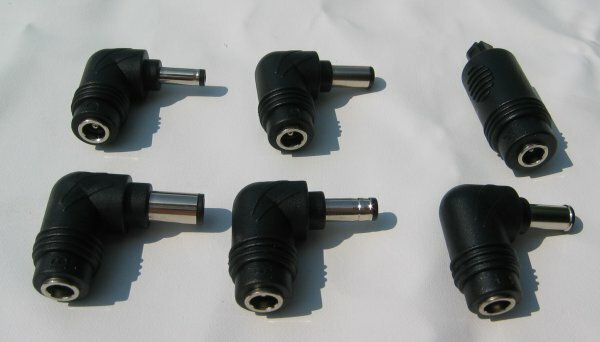 The package contains six extra connectors to match the power input of your notebook. Unfortunately Antec doesn't include a small bag where you can store the connectors in. One very important thing that you may not forget is to select the right voltage. 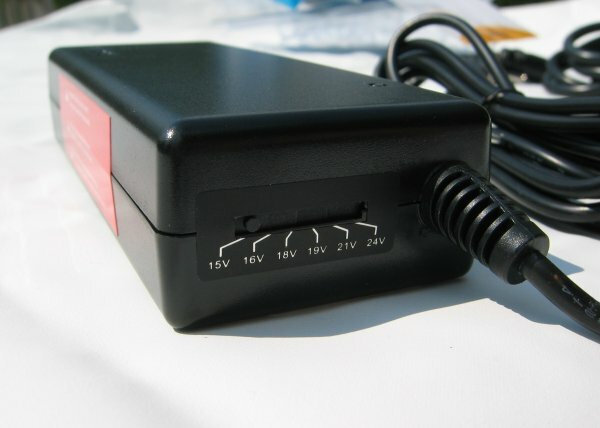 The NP-100 can provide 15V, 16V, 18V, 19V, 21V or 24V to your laptop. If you're using the NP-100 for multiple notebooks this can be quite dangerous if you forget to select the right voltage. Feeding a laptop 21V while it actually only needs 16V could cause serious damage to your hardware. When you plug in the NP-100 a blue status LED will light up.